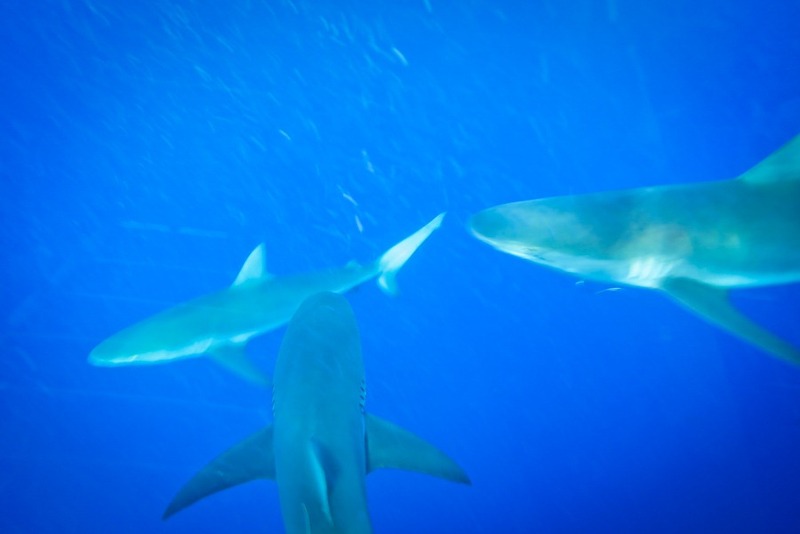 No one in their right mind would willingly swim in sharked-infested water. No one that is us at least. After all, as a birthday present to me, we went bungy jumping in New Zealand. So, to return the adrenaline-gifted favor, I figured we would go swimming with sharks in Hawaii for Gerard’s birthday! Fun, right? Then tell me why I was the one screaming bloody murder when we approached the cage only to find this little (big!) fella anxiously waiting for us. A shark fin surfaced for a split second before submerging and I realized I have never seen a shark in person before. Outside of the aquarium tank, that is. The ride was short, though a bit choppy. We were warned but decided not to take sea sickness pills. Guess what? We got sea sick. Correction. Gerard got sea sick. Lucky for him, the sea sickness came towards the end of our tour so he was able to enjoy his birthday gift for the most part. 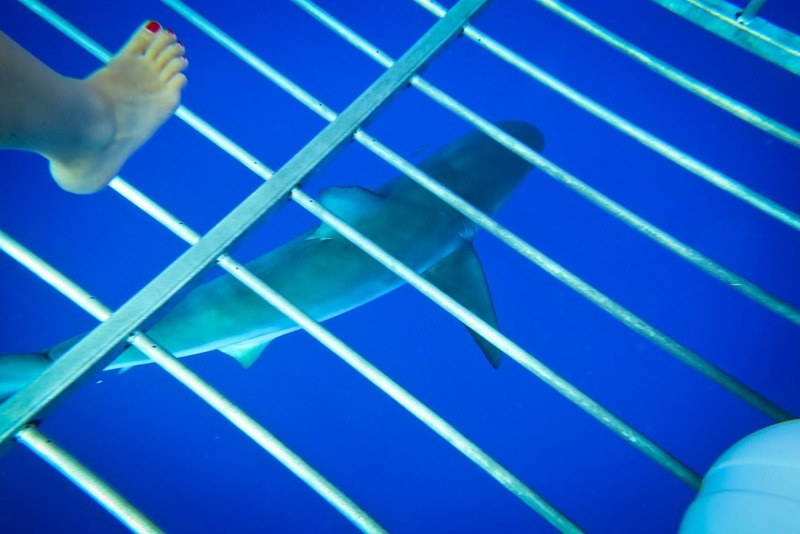 I was nervous when I saw the number of sharks in the water but was quickly comforted by the sight of the cage. It’s big. And sturdy.. looking. Surely no shark can penetrate this. And thank goodness they have handle bars to keep us steady in the water. I was pleasantly surprised the open water was warm and inviting especially at seven in the morning. Even more, how crystal clear it was. The moment I dipped my snorkel mask in the water, I was completely overwhelmed. They swam next to us. Some lurked below us. 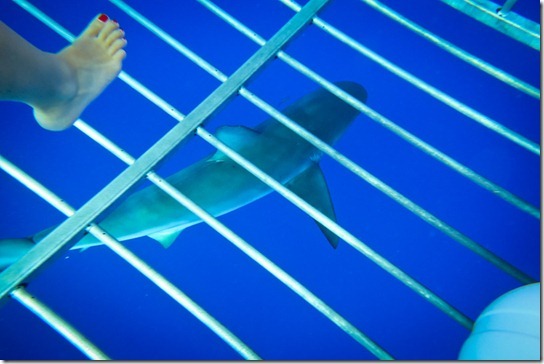 Some came so close to the cage we can practically reach out and touch them. But we didn’t. We’re daring, not stupid. We were in the water for about 20 minutes. It felt much shorter than that. And I kid you not, I swear they were playing the Jaws theme song playing dun dun.. dun dun.. seemingly low in the background the entire time. Or, at least it was the soundtrack playing in my head. Either way, spooky. Gerard loved it. Up until the part where he wanted to hurl overboard. 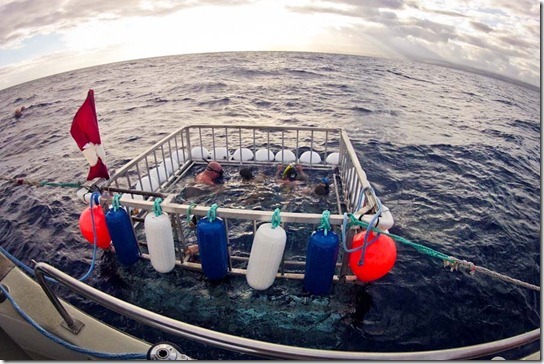 Most of his sea sickness was contributed to sitting in the rocky boat while the first group was out in the cage. 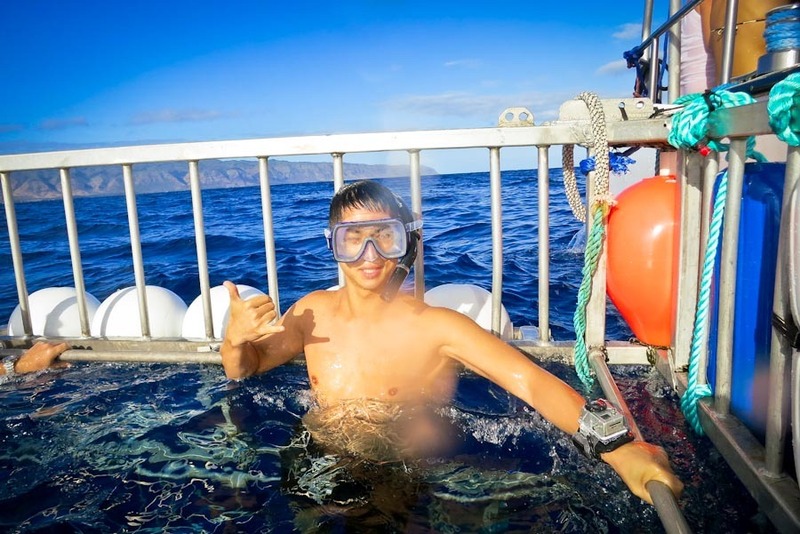 By the time we got in the water, the current had picked up and we were getting tossed around the cage which I’m sure added to his motion sickness. But thankfully, the ride home was short and he recovered quickly. 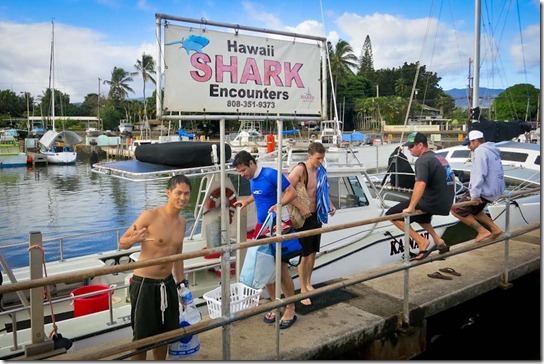 Disclaimer: We received a complimentary tour from Hawaii Shark Encounters. As always, my thoughts, my words. Still my voice behind the blog. It's Official, Today I Quit My Job! I love how adventurous you guys get for your birthdays! 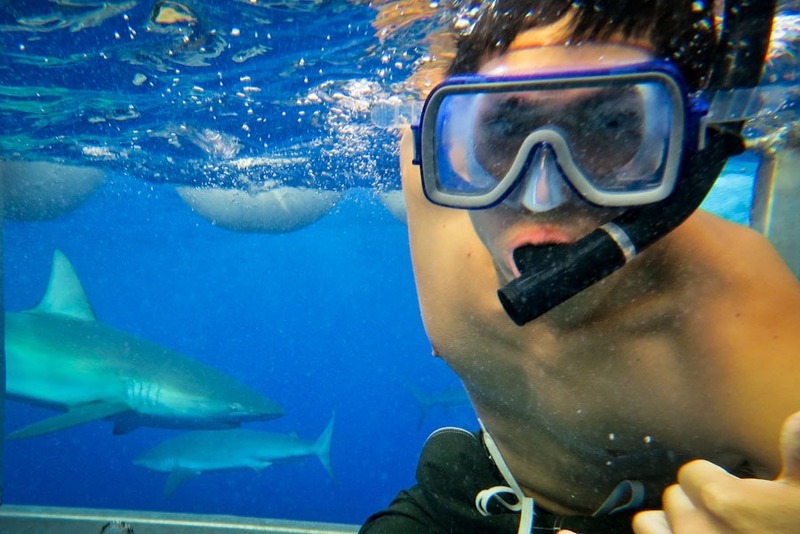 I feel like swimming with sharks is something Mike would love to do, and I kind of do as well, but I’d freak out once I actually saw them swimming around in the water! 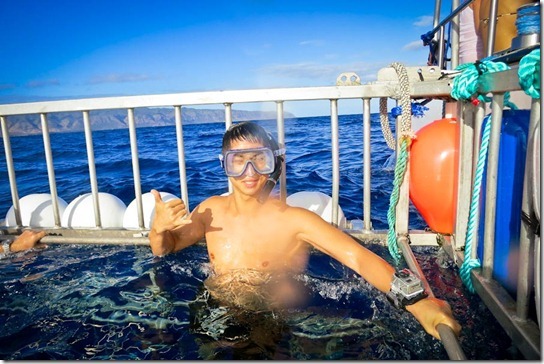 Glad you have some extreme stuff on your bucket list! haha… We too love to enjoy a few drinks and dinner to celebrate us surviving these crazy activities. OMG! My first instinct was to say – NEVER! But the photos are so cool,.. I now want to go. Is it weird? 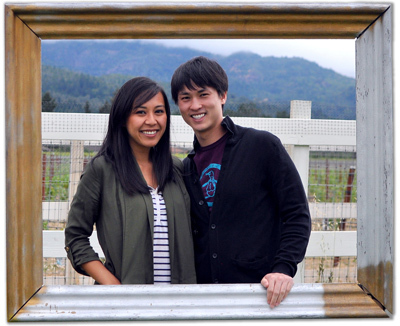 I can usually get convinced after a good photo or two. Not weird at all. Great post! 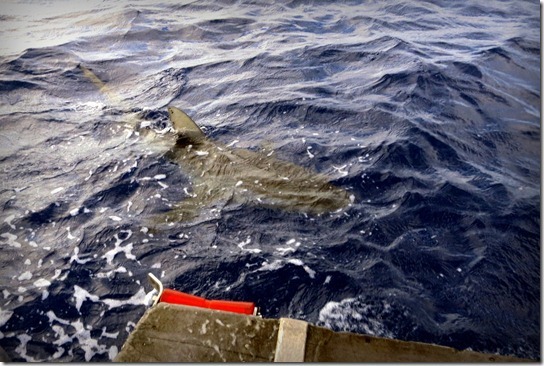 Swimming with the sharks is awesome but you are right about the current – the earlier you go in the morning the better! Yea, Gerard was getting sick towards the end of the 20 minutes while in the water.. it was really choppy. Bungy jumping…no. Shark diving…yes. I feel for Gerard. 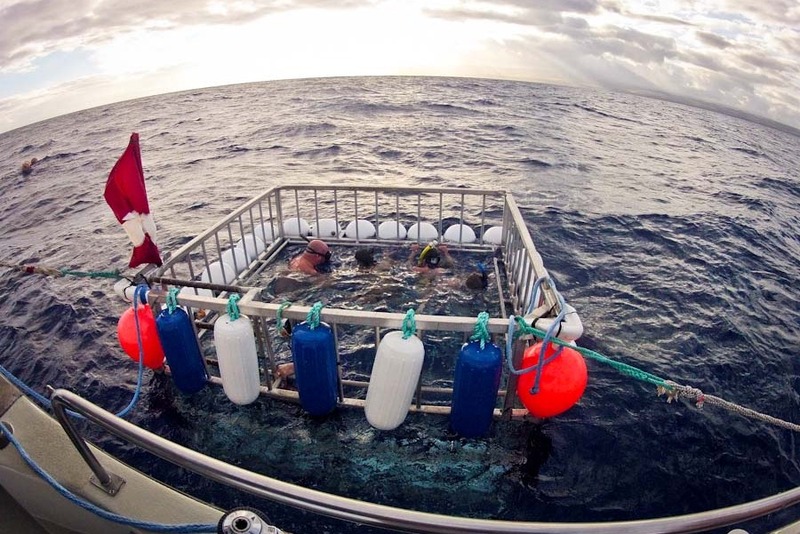 The first time I went scuba diving I puked out the back of the boat for an hour. Not fun, but like Gerard, I soldiered through it. Lol, Leah. I think I remember you comment about your puking dive. That is crazy!! A once-in-a-lifetime experience, though. You kinda HAD to do it… which is how I justified my skydiving experience in Australia. Oh, where did you skydive in Australia?? Must have been awesome. I went skydiving when I was in Surfer’s Paradise. It was totally awesome! You guys have a thing for the extreme, that’s for sure!! 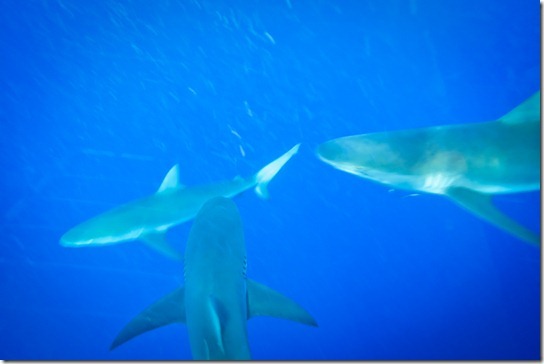 And not only did you go hang out with sharks, you brought a camera… COOL post! I went shark diving in New Zealand and now I wonder if I should have. They bait the water to get the sharks to come and if they do tours every day the sharks develop a habit to come and are basically fed instead of being in the wild. I don’t know. It was very cool but I would have a hard time doing it again. Yea, they don’t throw bait on our tour, however the tour is located out in the water where fisherman’s fish so the water is already baited I guess. 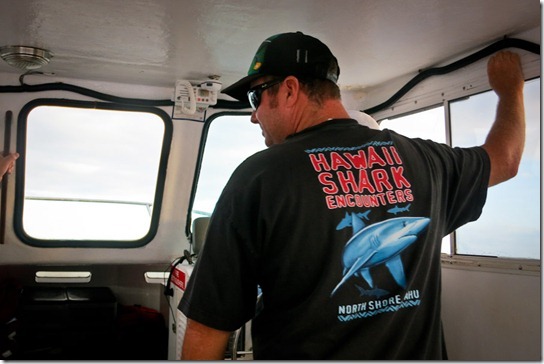 The sharks probably think we’re fisherman boats too. Looks really cool, and I love the video. I’ve only snorkelled with sharks at the Aquarium, whilst interstae backpacking to Perth. Aquariums are usually occupied by Grey Nurse sharks because I’ve been told they look “ominous but are really harmless”. What sharks were they? I doubt they can curate them so well in the open water. What kind of sharks were these? I encountered some on a dive in Molokini once and they looked similar – amazing creatures! They’re so graceful in the water. 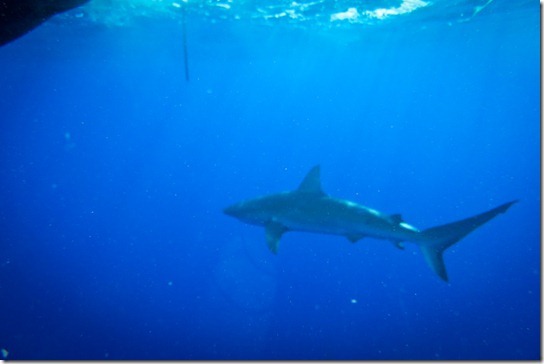 Galapagos sharks.. they were huge!